Everything else got smaller but satellite dishes got bigger. Any chance we’ll ever see a day when you can get satellite TV with just a round dish? In order to understand why a round dish isn’t likely, you have to understand why people use big oval dishes today. Today’s oval-shaped dishes point at multiple satellite locations at once. 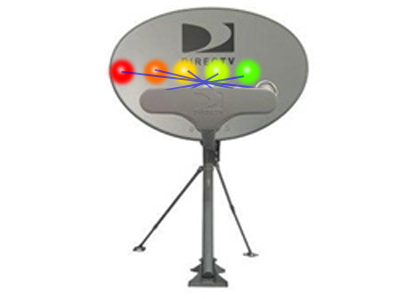 Traditionally, DISH used three locations, while DIRECTV used five, as you see above. 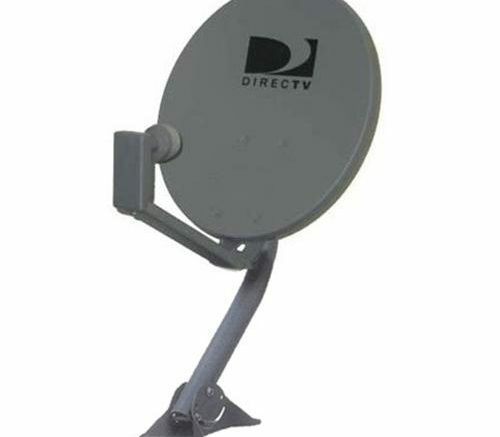 Today DIRECTV is moving toward just 3 locations and that could make for smaller dishes, although not totally round ones. In the picture above, think how much smaller that dish would be if it only had to pull in the three rightmost signals. In order to get to a truly round dish though, you’d need to cut down to one location. That would be hard for DIRECTV and practically impossible for DISH. DISH has a fleet of mostly conventional communications satellites, spread out evenly among two banks of three locations. In order to get down to that round dish they would need to abandon their entire fleet and launch a new mega-satellite at one location. The satellite locations DISH uses are crowded and that’s not likely to happen. The path forward is a little easier if you’re DIRECTV. AT&T operates satellites in the crowded 101 degree location, but most of its HD and 4K — in fact almost all of it — come from school-bus-sized satellites at the 99 and 103 degree locations. With its next satellite, codenamed T16, they could have enough capacity to turn off two of their three locations and just use the satellites at a single location. This would be a challenge because current hardware still needs to see the 101 satellite for certain things, even if there aren’t any channels to watch there. That could be changed but it would take some work. More importantly, AT&T would have to abandon several very large satellites and they wouldn’t have the extra capacity they might need if there ever are hundreds of 4K channels like we all want. What about a “little smaller” dish? It’s not impossible, especially for AT&T. The issue is cost really. The company would have to develop a whole new dish, get it tested and approved, and then roll them out. That’s a very large expense and it isn’t likely to increase revenues. Most people are just fine with the oval dish. The ace in the hole here is fixed wireless internet. If AT&T is developing a new roof-mounted antenna for its 5G-to-the-home initiatives, it might make sense to develop it alongside a new dish. The resulting hardware could be capable of both satellite and cellular reception and that would give people the option to upgrade to DIRECTV satellite if they wanted to. It would be more economical to develop one dish for both purposes and it might even make sense for AT&T to automatically shift some of that network capability to satellite as needed. The viewer at home would be none the wiser.